History of Nova Scotia; Book.2; Part 5; Ch. 8. "The Naval Engagements -- The Chesapeake Incident, 22nd of June, 1807." 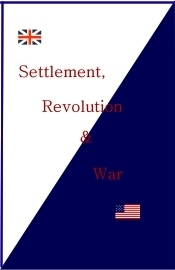 From 1793, except for a eighteen month intermission in the years 1802-1803, the English and the French were at war. British warships were working out of Halifax, busy capturing French ships. It was not just French ships. Under the law of nations any ship was liable to be captured and confiscated where it was determined contraband of war was in its holds. The British had been sailing the eastern coast of American and taking such vessels since 1793. The number of British warships on such missions varied, usually according to the degree of the threat of the French crossing the Channel to invade England. There was not much of a threat after 1805, the year that Nelson's fleet knocked out the combined French and Spanish fleets at Trafalgar. The scene we now draw is set in 1807. The British, who were then in a position to send more of their resources to America, picked up the pace. They were aggressively combing the Atlantic off the busy ports of northeastern United States. They were on the outlook for contraband, and they were looking for sailors who had deserted British warships. From the chapters in this part we are able to see that desertion was a serious problem for the British Navy. The opportunity for desertion would come for dissatisfied crew members of a British ship when it came into an American port for water and supplies.1 The officers took every precaution to keep the crew aboard. Shore leave was not generally available and guards with guns at the ready watched all possible escape routes. But still a considerable number of them got away. Every effort was made to recapture these men so that they could be made to be an example to the rest of the crew. Once a man got away and mixed in with Americans, however, it was rare that he would be found again. Once a seaman, then always a seaman. Good seaman can always find a job. Indeed, the young American Navy needed experienced crews for its frigates. It was not necessary for a seaman to give a work history to a recruitment officer. The principal questions were whether the prospective crewman was in good health and did he know the ropes. The captain of an American warship was glad to have the man who passed these two simple tests. There was, however, a requirement to look at the man's American citizenship papers. "A British frigate, Leopard, was waiting as Chesapeake officially left American waters. Leopard, standing only twenty yards away from Chesapeake, hailed Barron’s ship, and sent Lieutenant John Meade, R.N. on board, carrying a polite letter from her captain, Salusbury Pryce Humphries [Humphreys], enclosing Berkeley’s order to search the ship for British Navy deserters. When Barron politely refused, Meade politely left, and as Barron and his captain, Master Commandant Charles Gordon, stood at the gangway, he noticed with surprise Leopard's opened gun ports, with her guns positioned to fire on Chesapeake. He ordered Gordon to clear the ship for action. Almost immediately, Leopard fired on Chesapeake. Barron confirmed this astounding attack was not accidental, when through the clouds of smoke, he could hear the commands of Leopard's officers and her guns reverberating into position to fire again. [On Barron’s ship] ... Gun ports were not open, guns were not loaded, powder horns were not filled and there were no matches to be found. Chesapeake was carrying several passengers, whose luggage still crowded the decks. Even the galley fire was still lit, which enabled Third Lieutenant William Henry Allen to light one gun with a live coal, discharging the only shot fired by Chesapeake during the fifteen-minute battle. News soon spread from the docks of Hampton roads of the unprovoked attack of Britain on an American naval ship and the carrying off of American seamen. With the news went talk of war. President Jefferson called a cabinet meeting and issued the Chesapeake Proclamation ordering all armed British vessels to leave American waters immediately and forbidding any communication with any remaining ships.